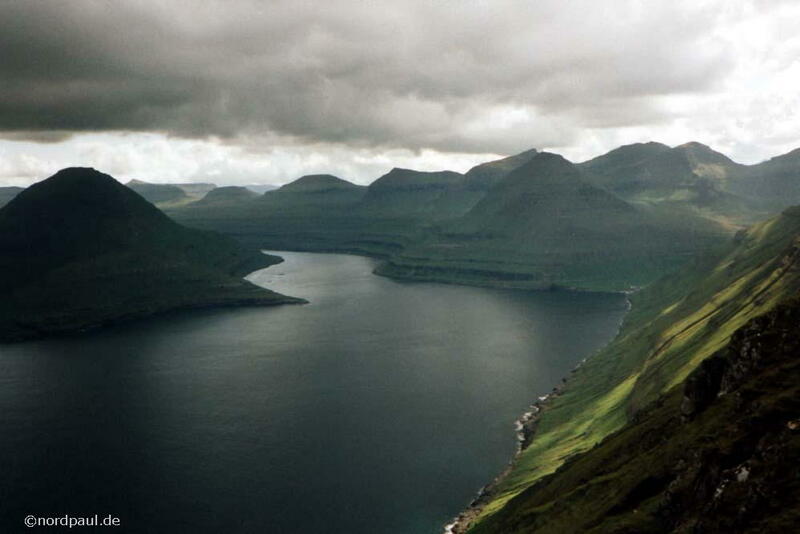 This website is about some relatively unknown islands in the North of the Atlantic. Most of the people just know them because of certain international football matches. 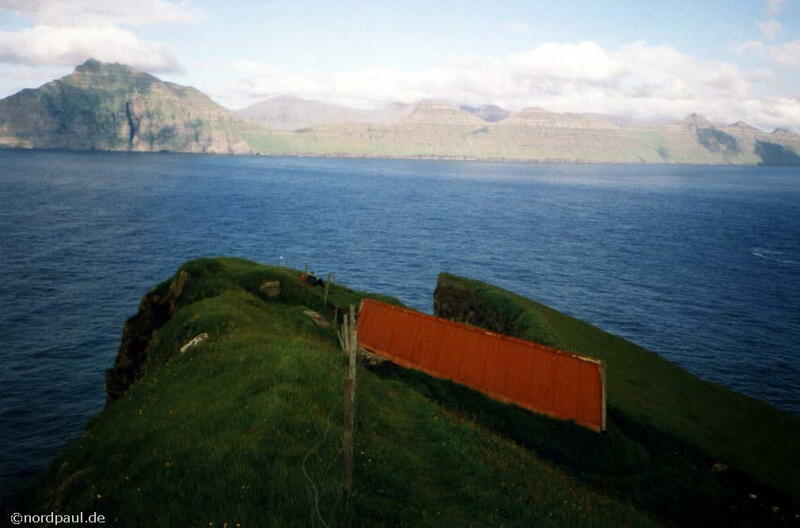 I was there - at the Faroe Islands. What is Gjógv actually? 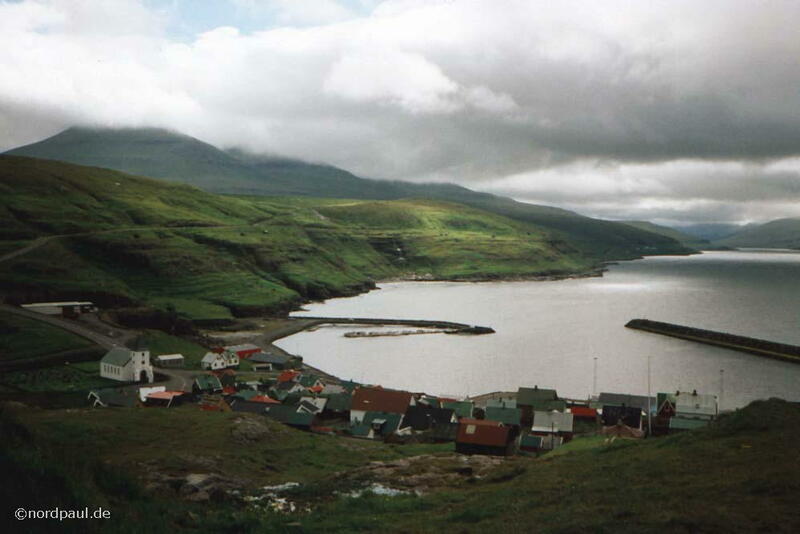 -> Gjógv is an incomparably remote village at the Faroe Islands. More later at this page. 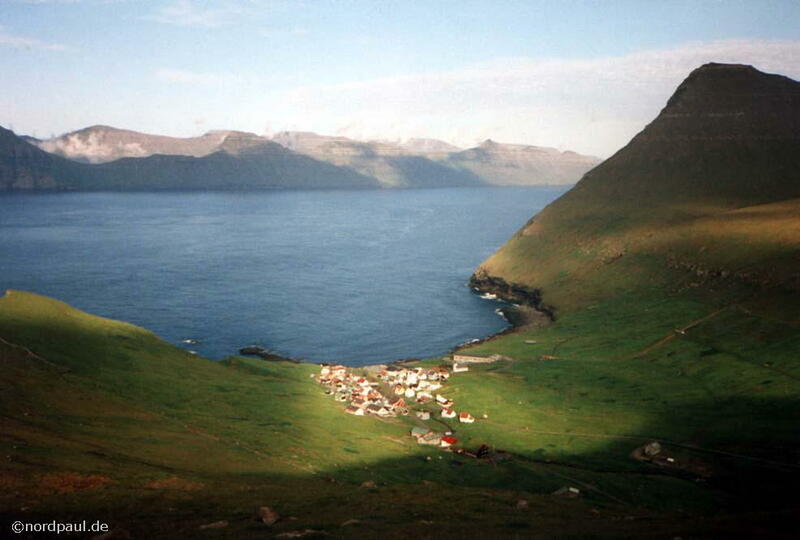 The Faroes (Føroyar = Sheep Islands) are a partly autonomous Danish group of islands in the North Atlantic between Iceland, Norway and Scotland. 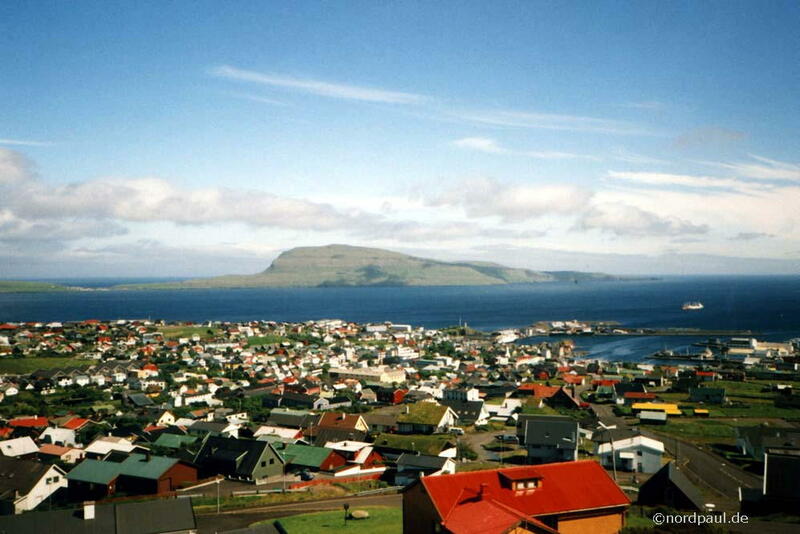 One third of the approximately 48,000 inhabitants are living in the capital Tórshavn. 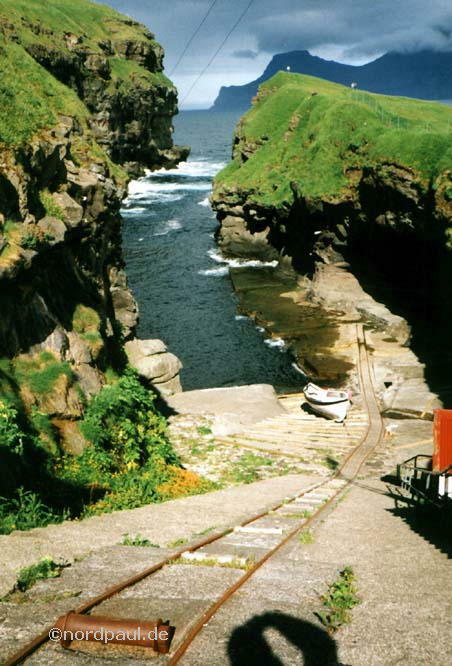 The landing-place of the "Norröna" (Smyril-Line) is in Tórshavn. In the summer time the ferry goes every week to Norway (Bergen), Denmark (Hanstholm) and Iceland (Seyðisfjörður). Some buses and ferries of the local transport company (SSL) are connecting the towns and settlements of nearly all the eighteen islands. 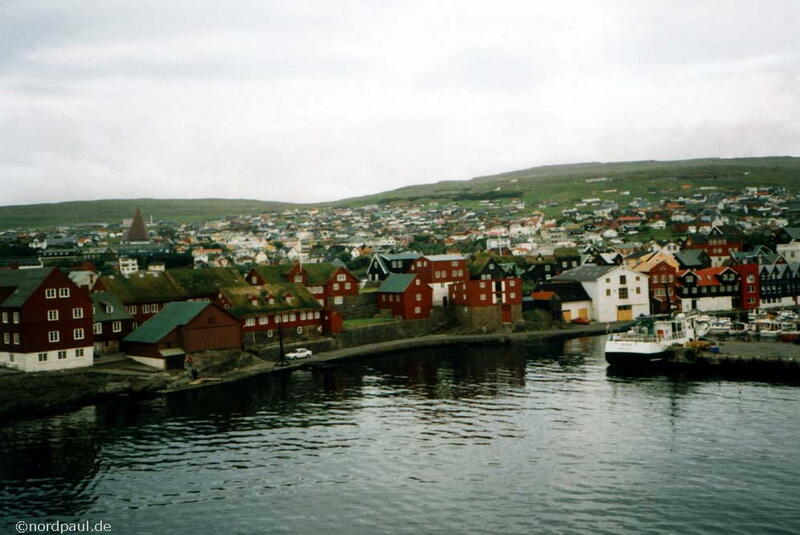 South of the capital Tórshavn is Kirkjubøur, the medieval center of the Føroyar. 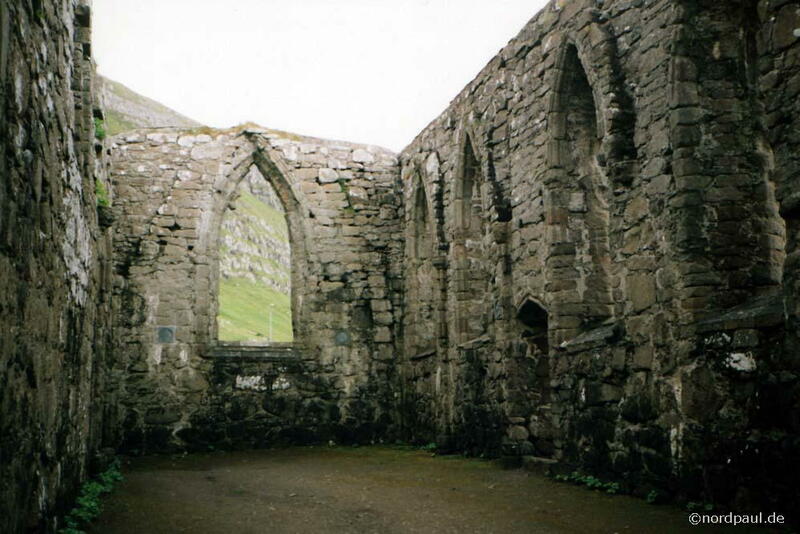 There you can see the ruin of the Magnus-Cathedral (built in the 13. 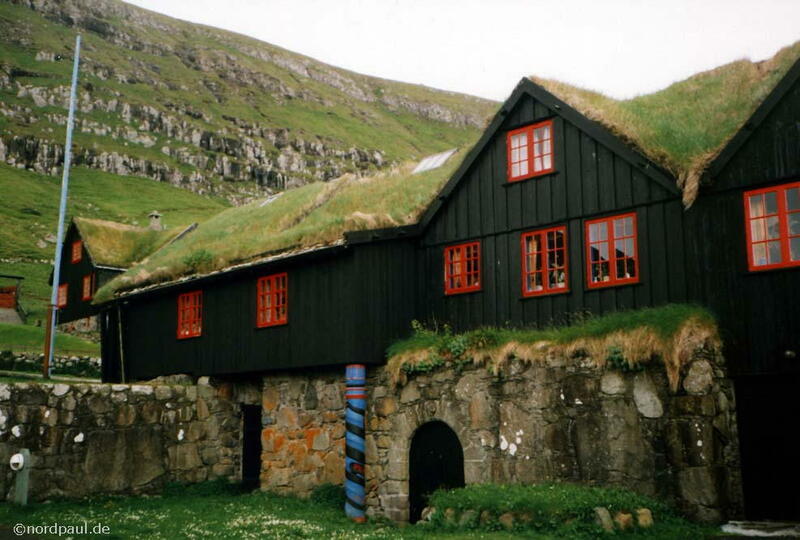 Century) and a grass roof timber building which is more than 900 years old. 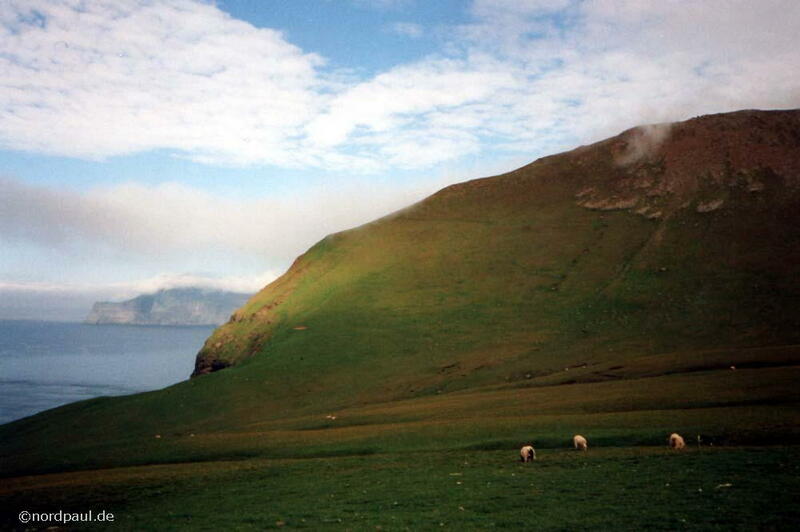 We went by bus from Tórshavn at the island Streymoy to the other large island Eysturoy. 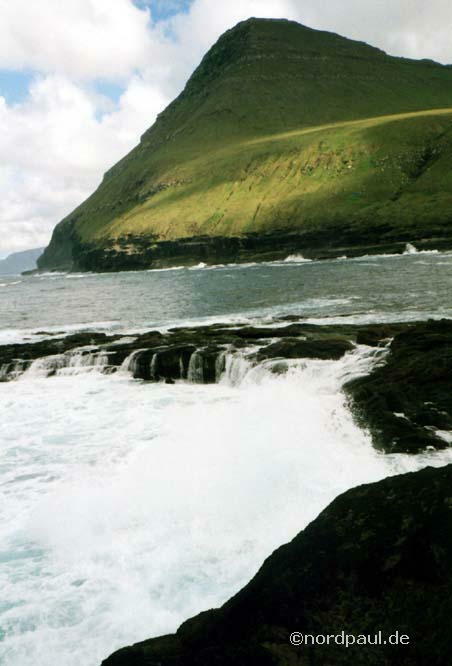 In Oyrarbakki a bridge connects these two largest islands of the Faroes. 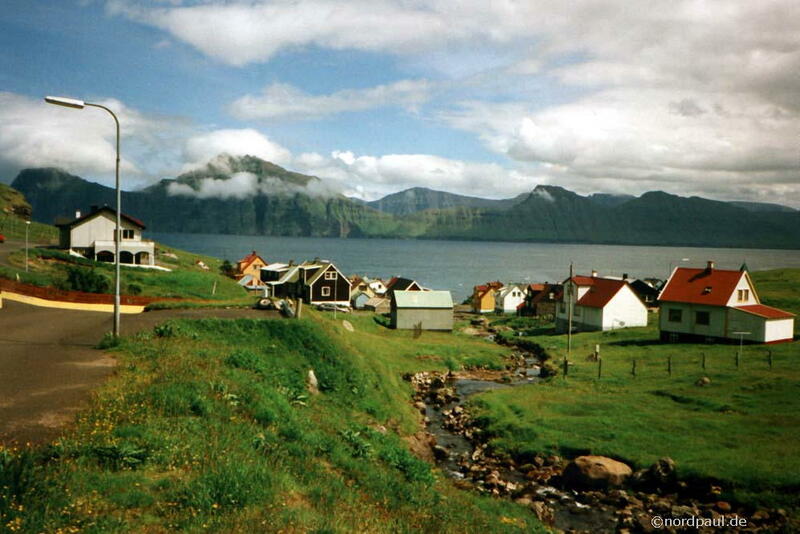 In the northwest of Eysturoy is the village Eiði and the little peninsula Eiðiskollur. At the other side of the sund you will see the rock Tjørnuvíksstakkur standing in the Atlantic in front of the mainland. Today tourists can take a former cableway for sheeps to reach this column. 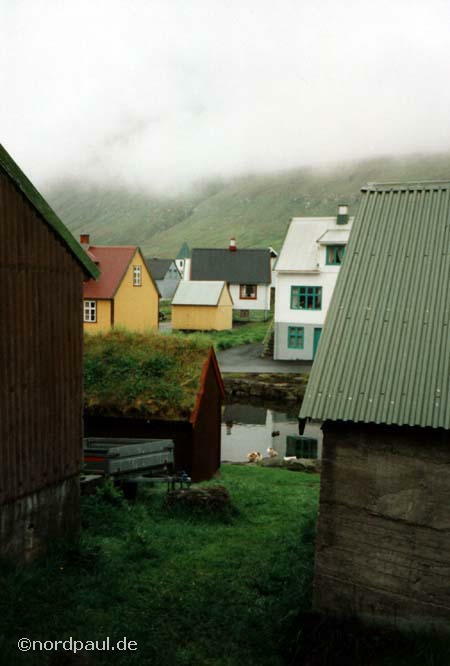 Finally some pictures and impressions of Gjógv, the village in the north of Eysturoy: Gjógv has approximately seventy inhabitants, a church with a cemetery, a post office (approx. 2x30 minutes open per day), a shop with food, a concrete element factory, a port, a small park, a helicopter place, a bus stop (running on working days two times and on Saturdays one time), a Youth Hostel with a campground and something more. But the 400 years old village is signed much more by the green mountains and the blue Atlantic. 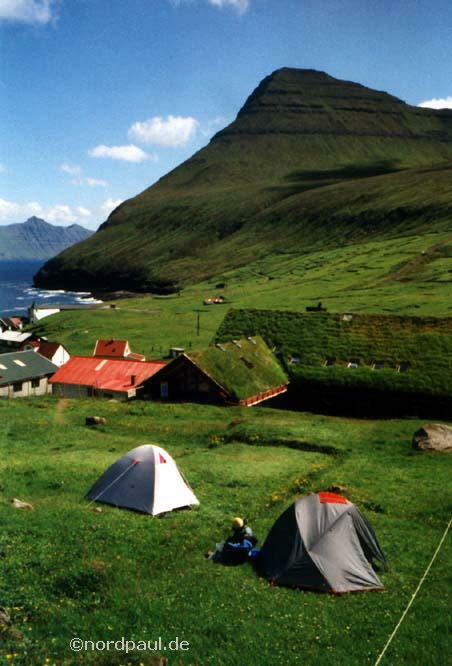 In 1998 the Youth Hostel "Gjáargarður" with some rooms, inexpensive sleep boxes and a small campground at the mountain-slope was the only accomodation place in Gjógv that we saw. From Tórshavn there is almost daily a bus connection to Gjógv. 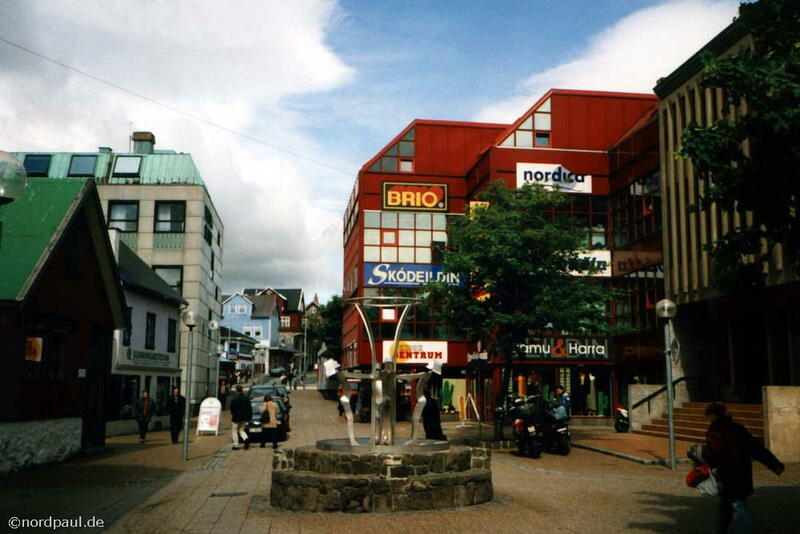 The bus journey takes you about two hours and costs for one direction 50 DKK (7 EUR, 1998). 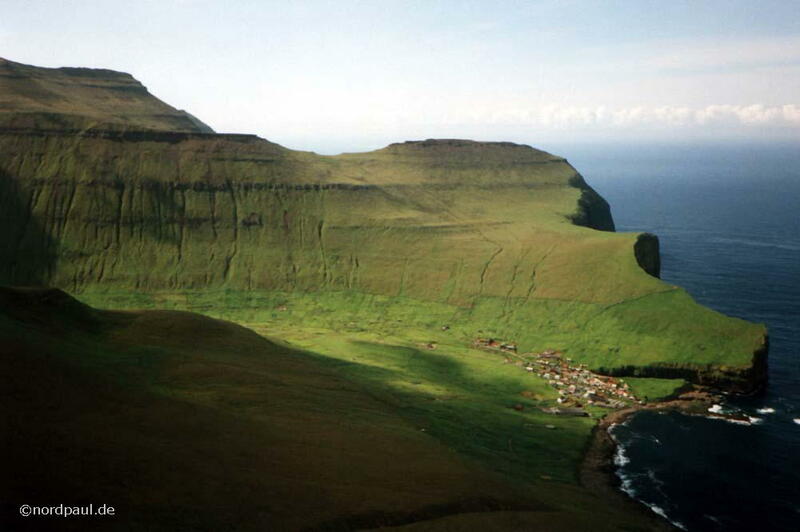 The forestless grass mountains around Gjógv invite you to many hiking tours: There are hiking pathes into the north and the west across some parts of the Gráfelli (856 meter high) down into the Ambadalur and farther to the Búgvin. 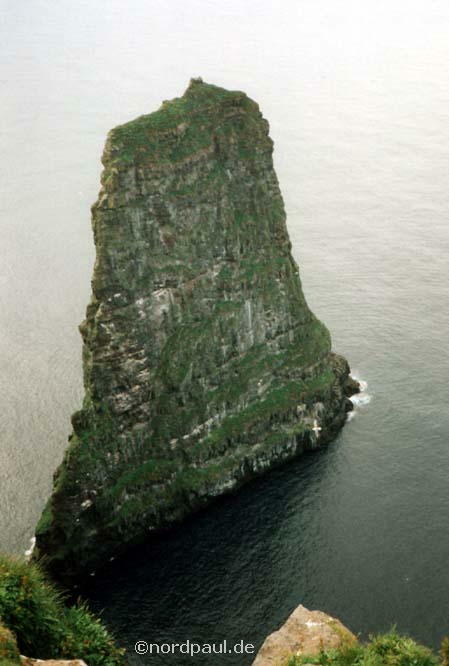 The Búgvin is a 188 meter high rock column in front of the coast with thousands of breeding birds. 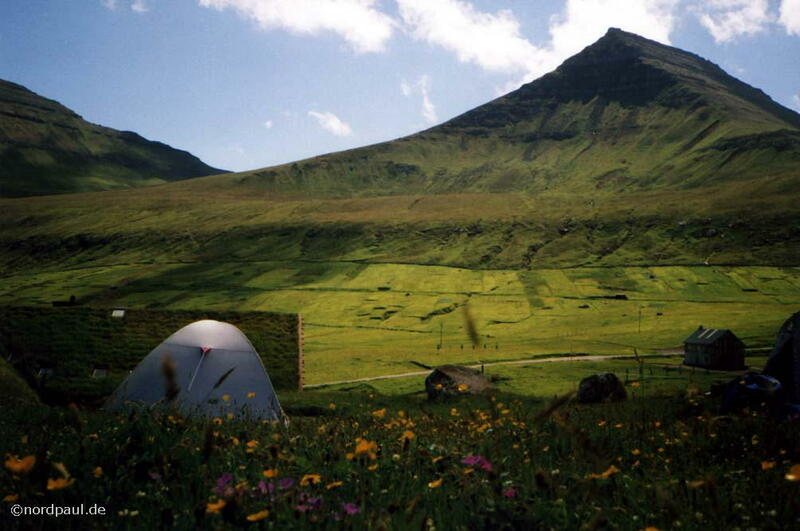 In the east of Gjógv you can hike and climb on the Tyril or the somewhat higher Middagsfjall (601 meter high). From both mountains you have a great view down into the Funningsfjørður. 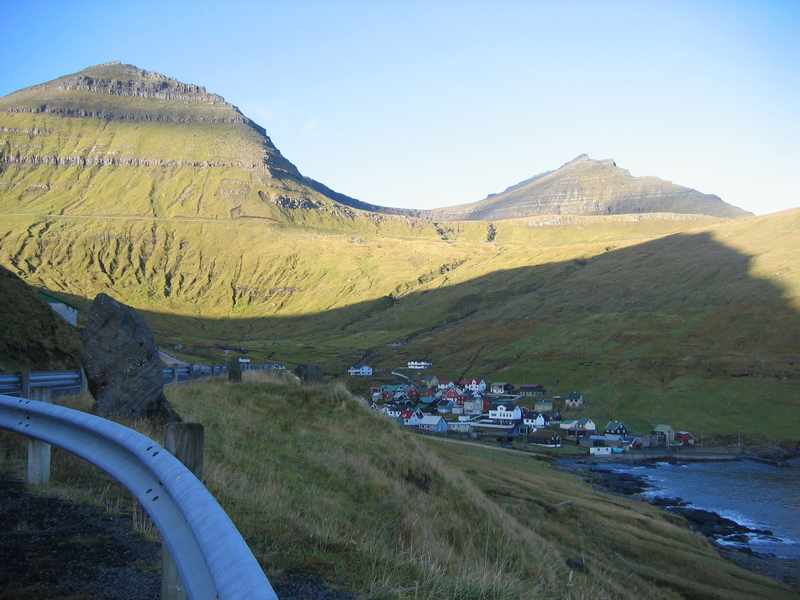 In a distance of Gjógv you find the highest mountain of the Faroe Islands: the Slættaratindur with 882 meter over sea level. 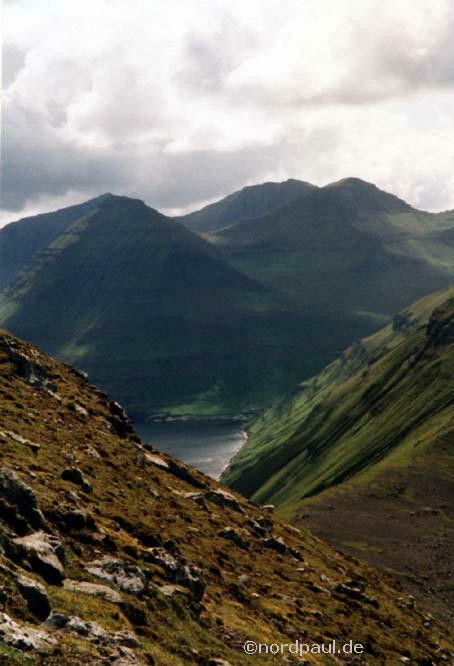 It is not far away from the road to Eiði. 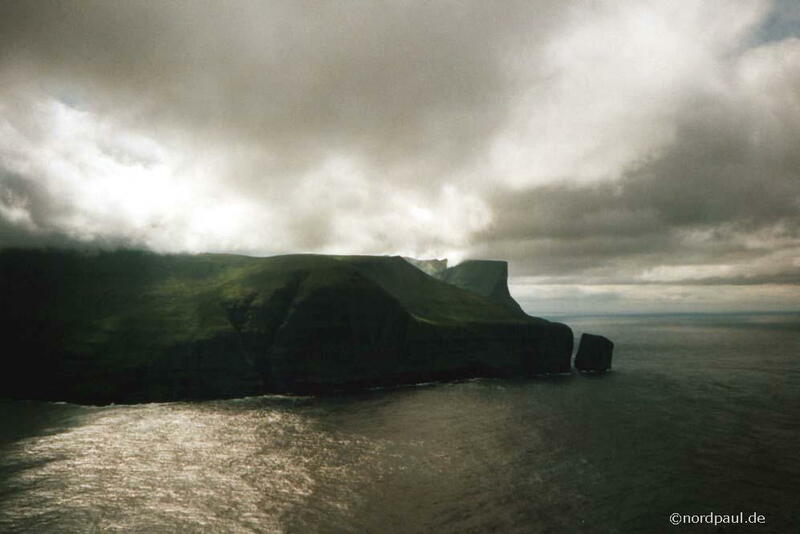 If you have good clear weather you should see all the islands of the Faroes. But we had only clouds around the top. Finally some information on the weather. Because of the Atlantic Ocean the average temperatures are well balanced: 3° Celsius in the winter and 11° Celsius in the summer time. The ALWAYS blowing wind can change the weather very quickly. For example after one gale night with a lot of rain the sun was shining at the next morning.